Tonight’s episode includes a primer on geography. The calculator – and the person operating it – is very happy tonight. 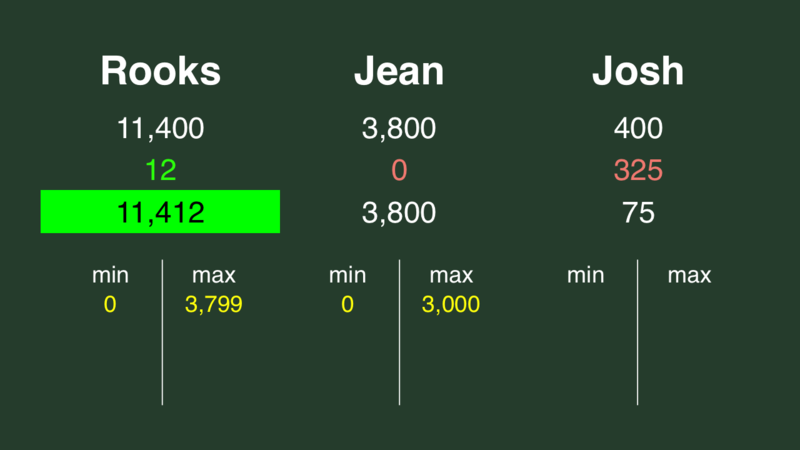 If Jean doubles her score, she’ll have 7,600. That means Rooks has it locked up; she can wager up to 3,800. A successful doubling will put Josh at 800. 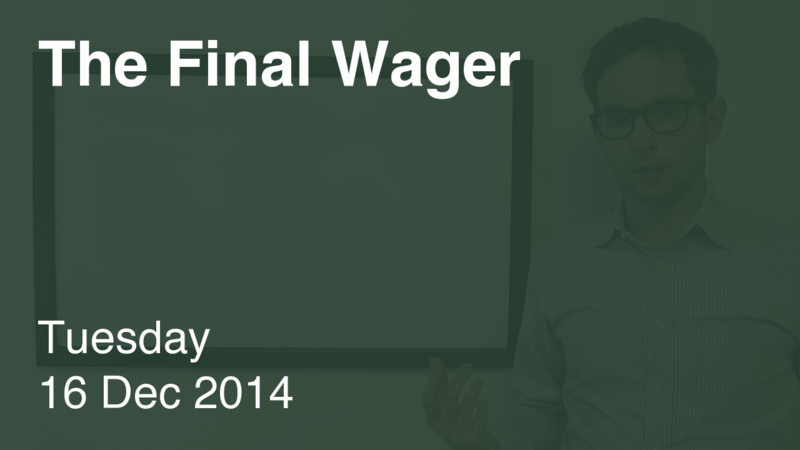 To stay above him, Jean can wager at most 3,000. 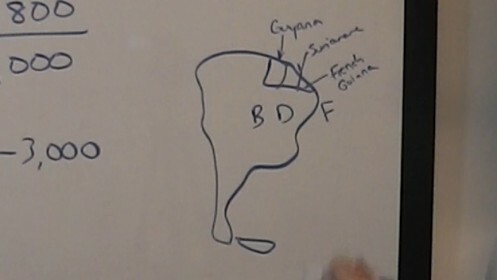 Here’s how you keep the three Guyanas straight: they go, from west to east, B-D-F in alphabetical order: British-Dutch-French. I got some kind of error message about a security certificate being revoked. Do you know what that is about? The most likely fix is to get your web server software maintenance brought up to date. Security Certificates come and go but the web server software vendor usually includes patches to keep the security certificates up to date in their routine maintenance.